GuitarFreaks V7 New and featured original music around Konami Hogaku topics / large covered on Western music, including adding more than 40 songs! The player uses a controller to simulate the playing of an electric guitar. A large number of songs full of powerful and unique sense. 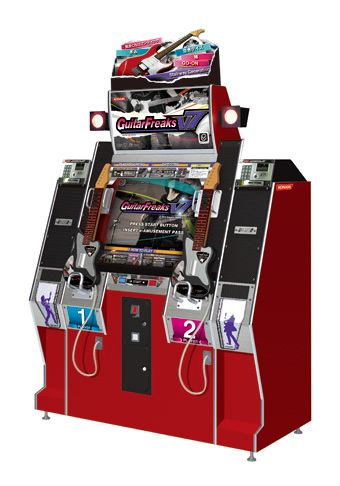 GuitarFreaks V7 aims to line up high-quality music and colorful animations for each song are displayed in the center of the screen.600 total and uncompromising music of a large one that no more than one song, then send an emphasis on quality super strong line-up! GuitarFreaks V7 new element in the "GDP" introduction! e-AMUSEMENT PASS is used to play the game, every time you play you'll earn GDP.So have a good record of each stage, so you can earn more GDP. When GDP has collected more than a certain value, you can get to play a hidden song. DrumMania V7 New and featured original music around Konami Hogaku topics / large covered on Western music, including adding more than 40 songs! A large number of songs full of powerful and unique sense. DrumMania V7 aims to line up high-quality music.600 total and uncompromising music of a large one that no more than one song, then send an emphasis on quality super strong line-up! DrumMania V7 new element in the "GDP" introduction! 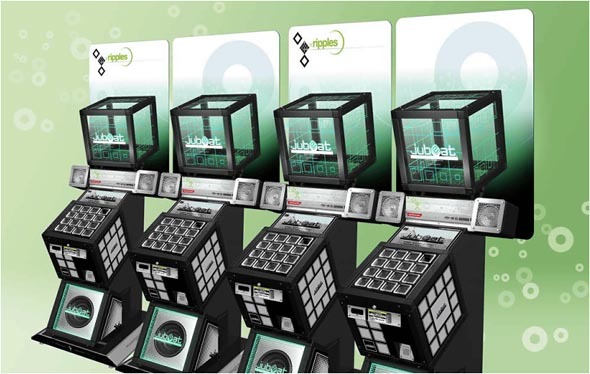 e-AMUSEMENT PASS is used to play the game, every time you play you'll earn GDP. So have a good record of each stage, so you can earn more GDP. When GDP has collected more than a certain value, you can get to play a hidden song. - "back spin scratch", a type of scratching which must be spun on one direction continuously and spun again to the opposite side at the end of note. Selected songs contained these features on the location test build. A new "party mode" consists of a story mode where players earn "fans" based on their performances. POP N' MUSIC 18 is the latest installment of the series. Set in rampaging wild times! Battle a variety of (events) that are engaged! License BEMANI popular songs and original sound, KONAMI games 50 new songs and added more songs! In all the songs that everyone can enjoy a wide range of music lineup Journal over 700 songs! The ultra COOL cubic style touch panel simulator game is better than ever. 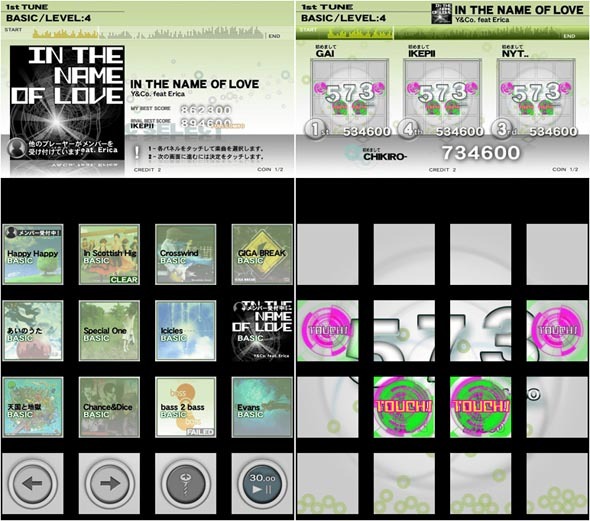 JUBEAT RIPPLES updated version has additional licensed J-POP songs for you to choose from. 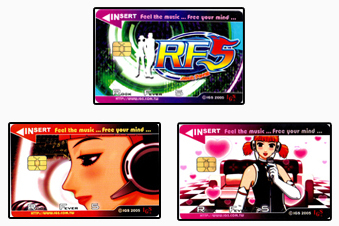 Using Konami e-Amusement card for online ranking play, up to maximum of 4 players in a location. Players will be rewarded after clearing the stage targets. ARE YOU ABLE TO FOLLOW THE RHYTHM WHILE TOUCHING THE FLASH PANEL SIMULTANEOUSLY? 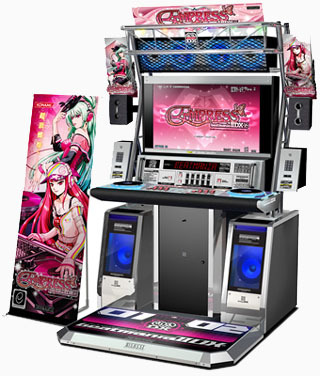 BEATMANIA IIDX EMPRESS is the 16th game in the BEATMANIA IIDX 16 series of music rhythm games. It was released in arcades by KONAMI. 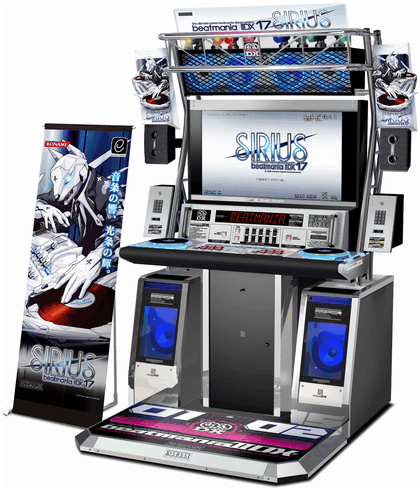 The game features over 50 new songs, some of which are unlocked over Konami's e-Amusement platform. The design of Empress's interface is based off a pink color scheme, dominated by sparkles, butterfly wings, and motifs of royalty and jewelry. 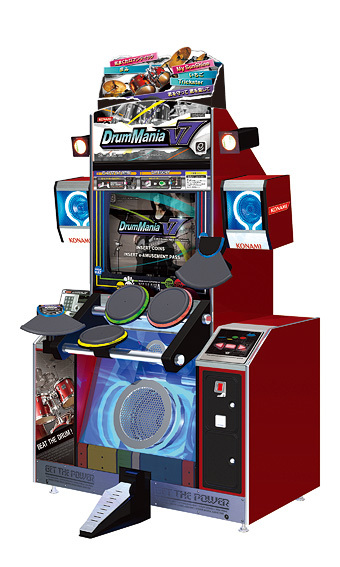 DRUMMANIA V6 BLAZING, the 6th installment of this drummer game hits Virtualand and Star Factory! New Songs, Original Parts. Quest mode is a brand NEW feature, challenging stages from V1-V6 songs, player cleared the stage with particular songs, will get promoted! CONTINUE TO ROCK ON DRUMMERS! GUITAR FREAKS V6 BLAZING, the 6th installment of this guitar game hits Virtualand and Star Factory! New Songs, Original Parts. Quest mode is a brand NEW feature, challenging stages from V1-V6 songs, player cleared the stage with particular songs, will get promoted! CONTINUE TO ROCK ON GUITARISTS! Konami Digital Entertainment is proud to present the latest addition to the BEMANI music simulation collection, DANCE DANCE REVOLUTION X (DDR X). This latest version shows the evolution of the game, incorporating 10 years of innovation from the first version that was launched in 1998. 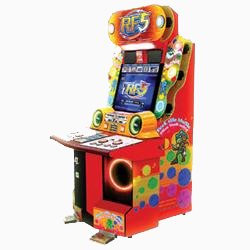 The new version, housed in a fresh cabinet design contains many of the original features that make DDR the best amusement dance machine on the market. 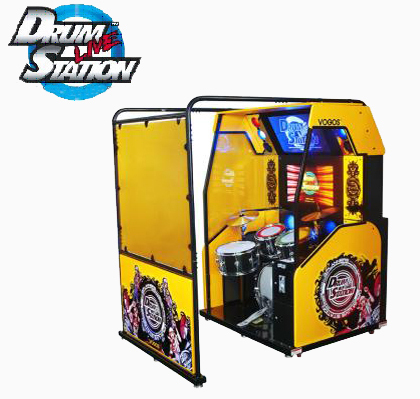 Arrived from Korea, DRUM LIVE STATION is cater for music lovers especially wannabe drummers! The playing of real drums appeal to all ages and genres. So what are you waiting for? Visit us to experience it! ROCK ON PEOPLE!! ROCK FEVER 5, the latest Rock Fever serie from IGS! Players need to push the buttons accordingly to the cursor and music on the screen. This serie featured more than 50 new songs. Hi. I would like to inform you that the network play for Pop'n Music 18 is down and this frustrates many players like myself for not being able to play the network on that game. Please fix the network play so that me and my friends can play on that machine. Thanks!